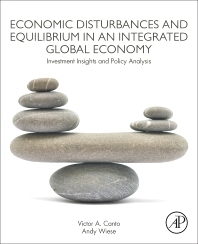 La Jolla Economics is a well-established and widely followed economics research and consulting firm founded by Victor Canto, Ph.D. LJE combines qualitative analysis and quantitative models to offer informative economic, political and industry research to the institutional investment community. La Jolla Economics provides professional investors with the insights and interpretations necessary for them to understand how the geopolitical events of today will impact their portfolios tomorrow. LJE combines a macro view of political and economic research with a dynamic view of industry research to serve the full range of client needs. “LJE is registered as an investment adviser with the State of California, Department of Corporations. We provide our clients (who are exclusively state or federally registered investment advisers, financial institutions and institutional buyers) with certain investment advisory services. LJE provides such services for clients only in those states where we are registered or exempt from registration as an investment adviser. The information contained within this website is not an offer to provide advisory services in a state where LJE is neither registered nor exempt from registration under the securities laws of such states. If you are interested in learning more about our investment advisory services and whether or not they may suit your needs, please complete the questionnaire set forth below, submit it to us and, if we are registered or exempt from registration in your state of residence, we will contact you.